Emboss is a technique to raise a surface relief pattern or design by using hand punches and hammering out from the back side. 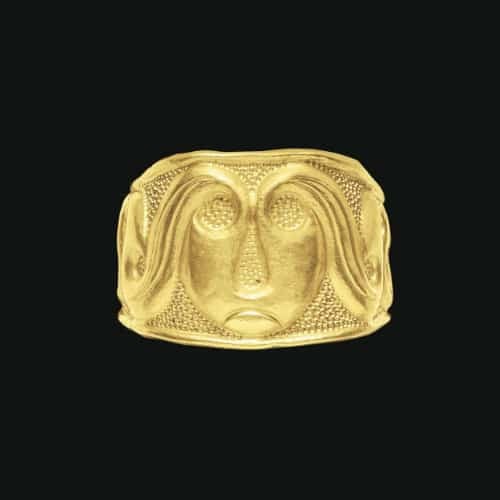 Embossed Celtic Gold Ring, c.4th Century B.C. Photo Courtesy of Christie’s.